Bi Xenon kits are equipped with intriguing features to light up the view in front of your vehicle. Install bi xenon slim ballast as a controller of flicker between low and high beam. Do Bi Xenon HID Kits Provide More Visibility? Canbus ready Bi xenon hid kits have superfluous capacity of providing 300% more light to your driving than the average single filament halogen bulbs. Installed in standard models HB3 HB4 9005/9006 fits among giving best illuminating Bi xenon hid with DIY installation that requires less technical knowledge and anyone could install it in nick of time. Bi xenon hid 35w/55W produces double light output discharging abundant lumens each second; hid bi xenon bulbs evidently give around 3000 life hours which in quite a high ratio in contrast to halogen bulbs. Bi xenon hid kits have proven results for greater visibility resulting its huge demand globally. 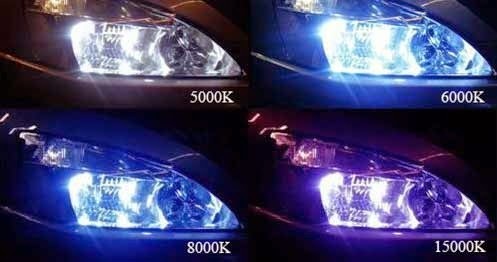 Choose between H3, H4 9005, 9006 Bi xenon hid bulb for high beam trajectory that will give off both high and low xenon beam. According to the vehicle you own, MaxAutos 12V 35W/55W bi xenon conversion hid kits are weatherproof bi xenon hid kits helps you to easily convert to xenon hid despite the factory fitted halogen bulbs. Enjoy a free 24 month extended warranty in case of replacing products that includes hid bulbs, hid slim ballasts, and relay wiring with international delivery for convenience you expect in return for the amount you’re spending. A diverse range of hid bi xenon easily plugged for all types of sportsbikes, cars, van or SUVs in particular. Follow us for more information on 35/55W 12V H3/H4 9005-9006 bi xenon hid kits for ultra hid lightening systems or email for a quotation at info@maxautos.co.uk .